Last week I did inspections of six of my eight hives, five that overwintered and one swarm I caught a couple of weeks ago. 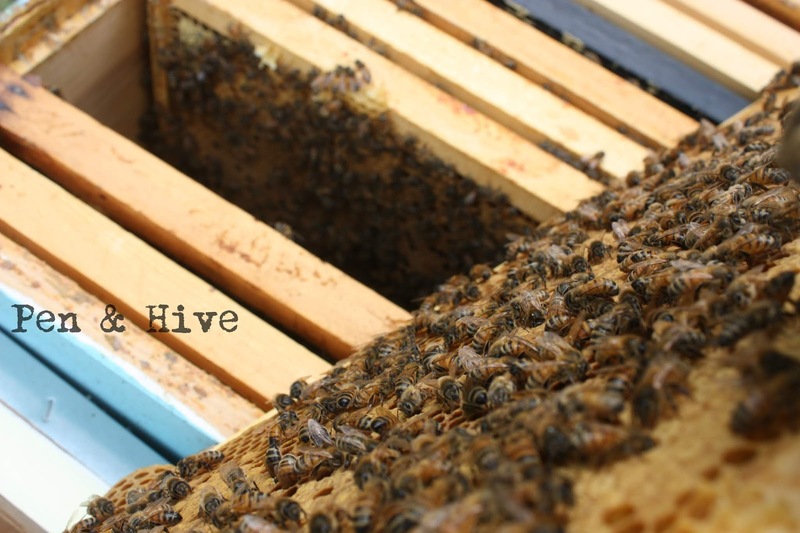 Here's a quick peek inside the hives! After smoking the girls with a cool smoke and giving it a minute to waft throughout the hive I remove the top and inner cover. In this case, I also removed the honey super I'd put on when the honey flow started. 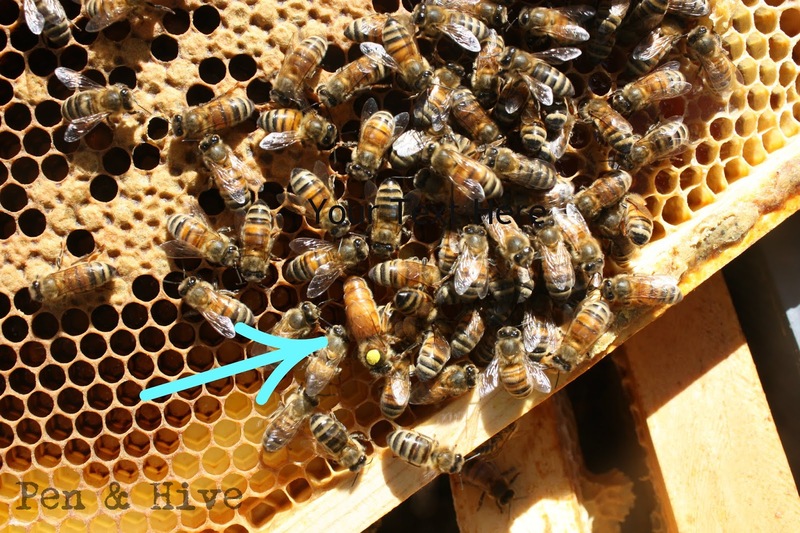 Those flat brown circles are called "capped brood." They are baby bees waiting to emerge. In the picture above it looks spotty. That's fancy beekeeper talk for not a solid brood coverage. This frame of brood looked a little better. See the glistening white in some of the cells? Those are larvae. If you think your kids are wearing you out asking "what's for dinner?" these larvae eat 1300 times a day! They are fed by nurse bees, royal jelly at first and then a mixture of honey and pollen called "bee bread." 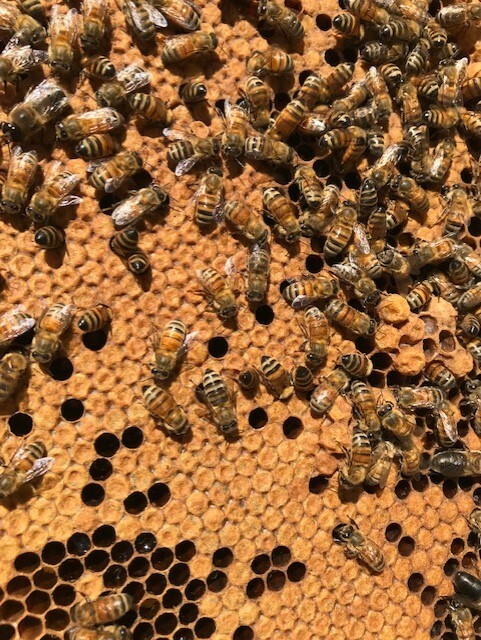 At just the right time the worker bees seal the cell with the tan and porous beeswax you see in the photo. At that time the bee spins a cocoon around itself. We can't see that part because it takes place under the capping. Inside the cocoon metamorphosis takes place. 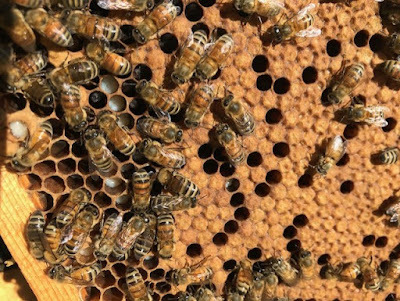 At the appropriate time a fully adult bee eats through the wax covering and emerges to begin her first task in the hive, cleaning out her cell so it can be reused. In the picture above you see a really beautiful brood pattern. This queen is doing very well. The holes in the middle of the brood pattern are where bees have already emerged. 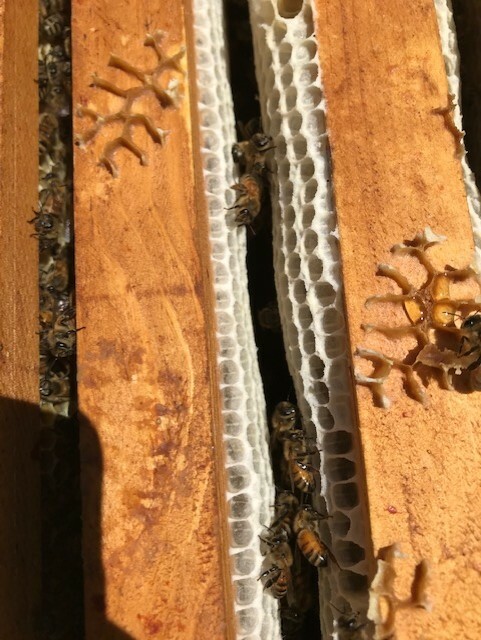 Read about how I caught a recent swarm. 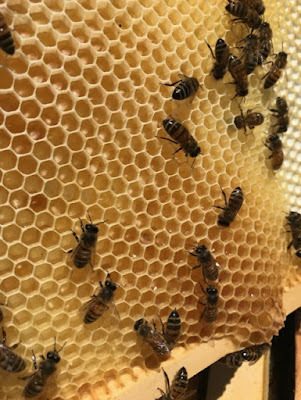 In this picture you can see the bees building out the honeycomb in the honey super. If you look closely you can see that they've already started putting honey up. I love it when the honeycomb is new. It is snowy white. Notice how the bees line up on the left frames to look at me and see what I'm up to. 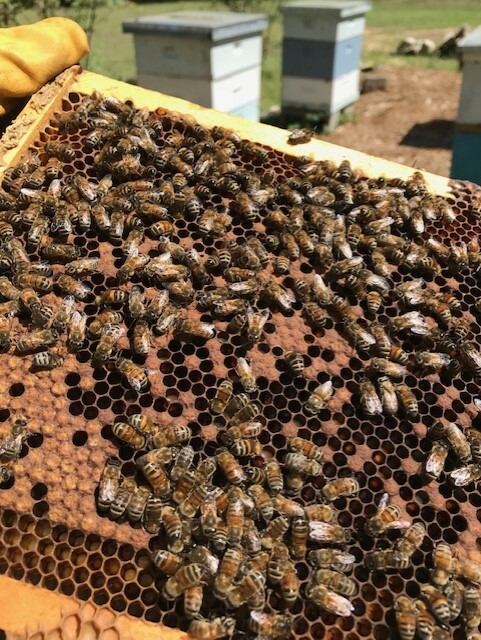 I didn't see any of the queens on this inspection day but here's a picture of a purchased queen from last year. Notice that she's marked. When you buy queens they are marked with a different color for each year. 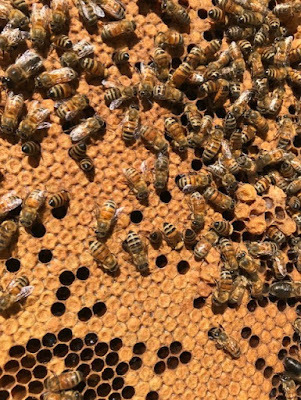 It helps beekeepers keep track of how old their queens are. Next time I try to remember to take my good camera to the bee yard. But it's just so easy when I'm holding a frame of bees to say "Hey Siri, activate camera." Hope your week is buzzing along!